Pokrowiec na kluczyki blokuj±cy fale radiowe BR¡Z zabezpiecza kluczyki samochodowe przed skanowaniem. Pokrowiec pe³ni funkcje klatki Faradaya, po w³o¿eniu kluczyków do pokrowca, w skuteczny sposób zabezpieczysz swój samochód - uniemo¿liwi to bowiem zeskanowanie sygna³u jaki wysy³a samochód do twoich kluczyków. System bez-kluczykowego dostêpu - niezale¿nie od tego, czy chodzi o karty kodowe, czy wbudowane w kluczyki transpondery - wykorzystuje do pracy fale radiowe. Pokrowiec skutecznie je blokuje. Cover for the keys blocking radio waves - protection before scanning model A Cover for the keys blocking radio waves - protection before scanning is a cover acting as a Faraday cage, after inserting the keys to cover in an effective way you secure your car - because it will prevent scan signal it sends your car keys. The key-no access - regardless of whether it comes to kardy code, or built-in transponder keys - uses radio waves to work. There is no risk that someone will intercept the signal to get to your car. Cover for the keys blocking radio waves - protection before scanning model B Cover for the keys blocking radio waves - protection before scanning is a cover acting as a Faraday cage, after inserting the keys to cover in an effective way you secure your car - because it will prevent scan signal it sends your car keys. The key-no access - regardless of whether it comes to kardy code, or built-in transponder keys - uses radio waves to work. There is no risk that someone will intercept the signal to get to your car. 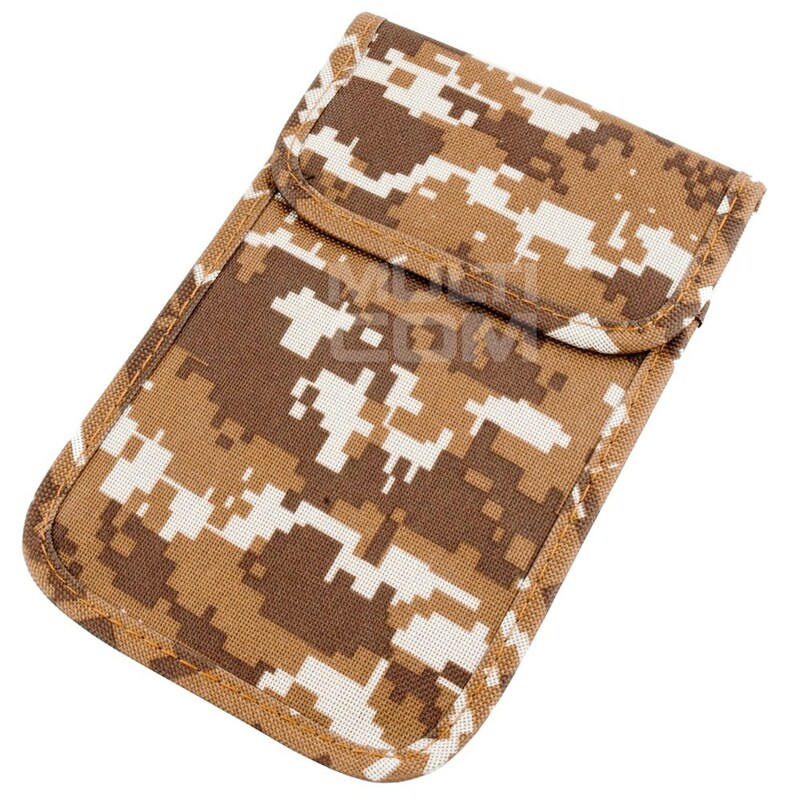 Faraday Bag TS01 for blocking signal GSM, 3G, LTE, GPS, WiFi the frequency blocking bag offers signal shield for Military and Intelligent agencies, Law Enforcement organisations as well as Corporate Clients and ividuals who want to protect their privacy . A frequency blocking bag is usually using to protect devices from any external interceptions, ensuring that devices are secure and prevent remote wiping of the date (losing critical data in a case or tribunal), tracking the device (potentially putting your officers in jeopardy), bugging (by remotely using the devices microphone and/or camera) or protect inviduals by not allow scannign their credit/debit card with NFC readers or car thief from scanning keyless system in your car. The frequency blocking bag could also block radiations and degaussing. 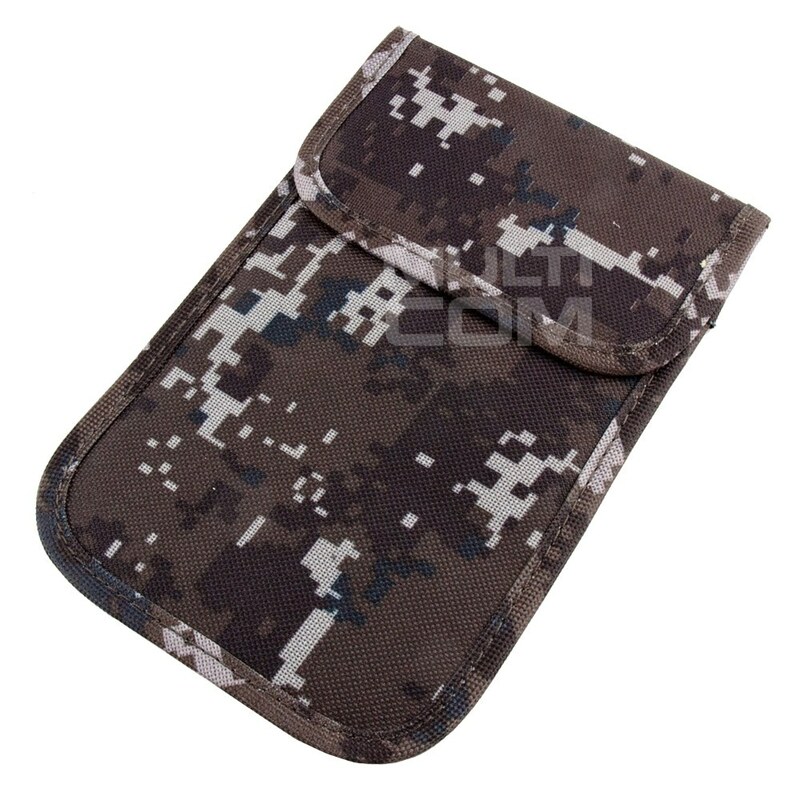 Faraday Bag TS02 for blocking signal GSM, 3G, LTE, GPS, WiFi the frequency blocking bag offers signal shield for Military and Intelligent agencies, Law Enforcement organisations as well as Corporate Clients and ividuals who want to protect their privacy . A frequency blocking bag is usually using to protect devices from any external interceptions, ensuring that devices are secure and prevent remote wiping of the date (losing critical data in a case or tribunal), tracking the device (potentially putting your officers in jeopardy), bugging (by remotely using the devices microphone and/or camera) or protect inviduals by not allow scannign their credit/debit card with NFC readers or car thief from scanning keyless system in your car. 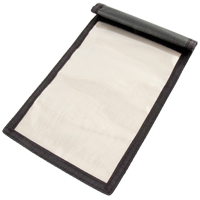 The frequency blocking bag could also block radiations and degaussing. 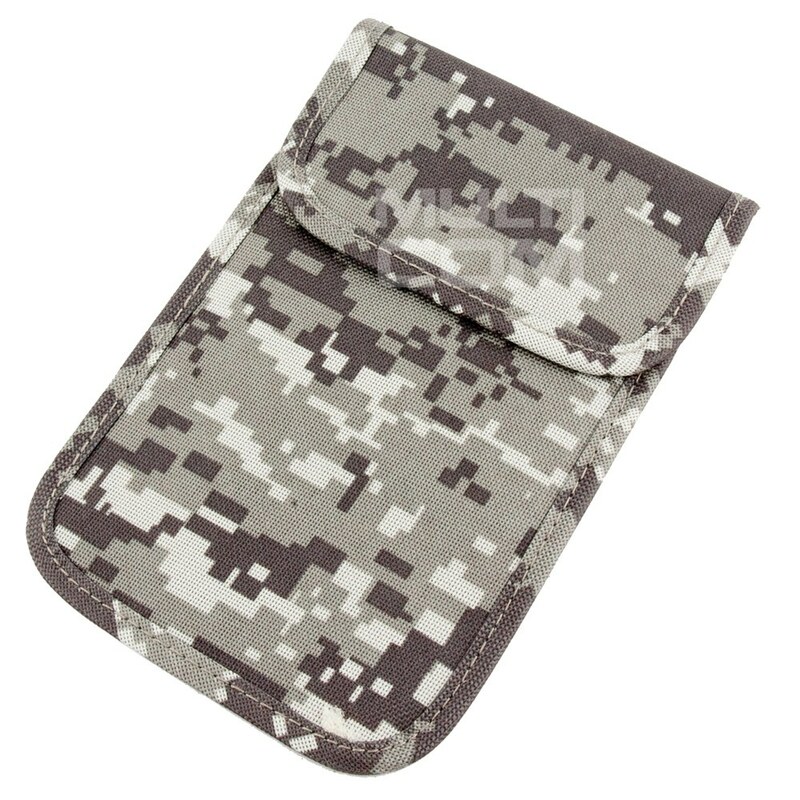 Faraday Bag TS03 for blocking signal GSM, 3G, LTE, GPS, WiFi the frequency blocking bag offers signal shield for Military and Intelligent agencies, Law Enforcement organisations as well as Corporate Clients and ividuals who want to protect their privacy . A frequency blocking bag is usually using to protect devices from any external interceptions, ensuring that devices are secure and prevent remote wiping of the date (losing critical data in a case or tribunal), tracking the device (potentially putting your officers in jeopardy), bugging (by remotely using the devices microphone and/or camera) or protect inviduals by not allow scannign their credit/debit card with NFC readers or car thief from scanning keyless system in your car. 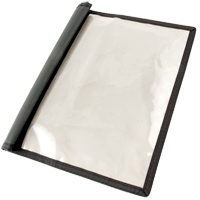 The frequency blocking bag could also block radiations and degaussing. 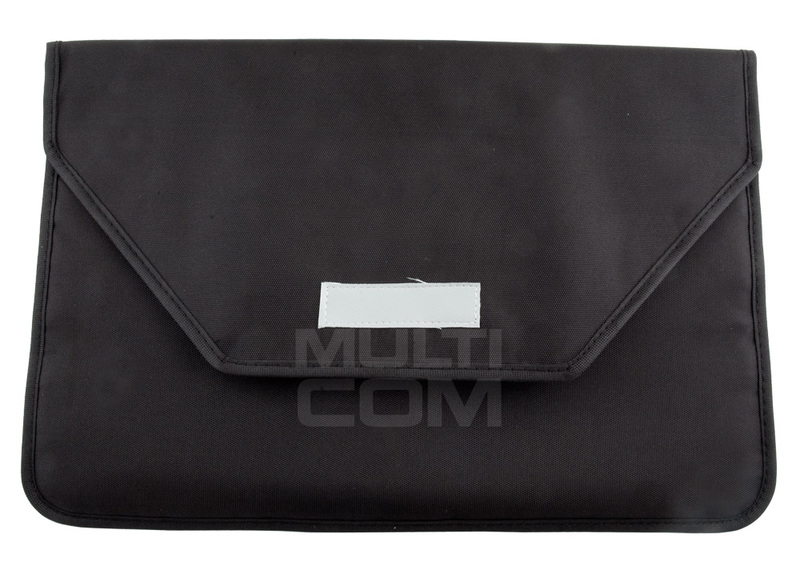 Faraday cover blocking GSM / LTE / WiFi / GPS signal for a 39x26mm laptop is a case that functions as a Faraday cage for laptops, large tablets equipped with a GSM blocking module for both GSM / LTE / WIFII and GPS. The perfect solution for people who want to protect their privacy in selected locations. 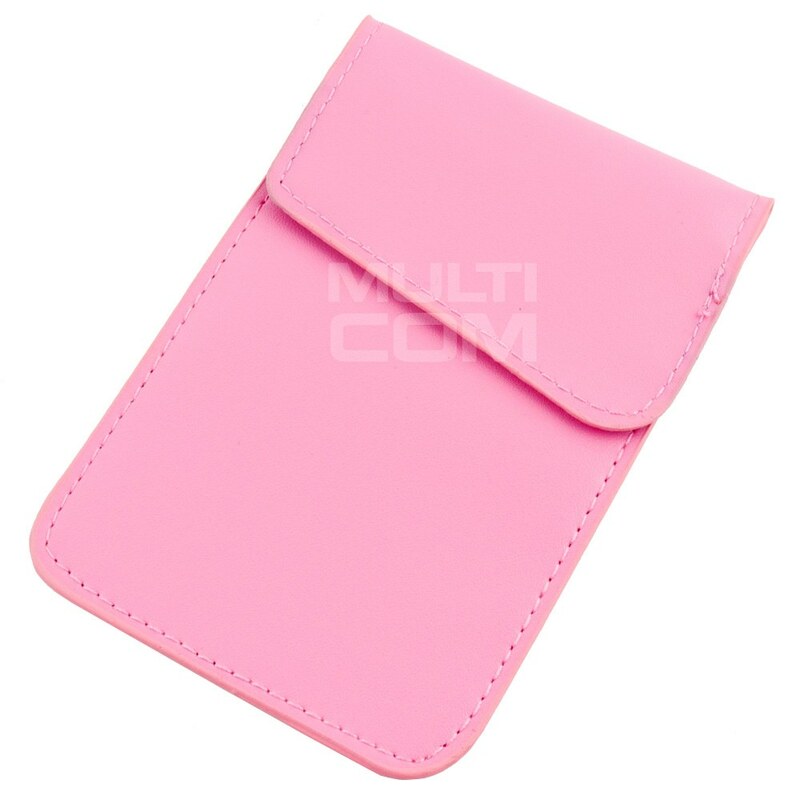 After inserting the device into the case, the device will lose its range in a few seconds and it will not be reachable and traced. A person trying to call a device that is in the case will hear a busy tone or a message saying that the subscriber is unreachable. Phone case for locking signals GSM/LTE/WiFi/GPS MORO 2 it features Faraday cage for mobile phones that block both GSM / GPS / WiFi signals. Ideal for people who want to protect their privacy in selected locations. 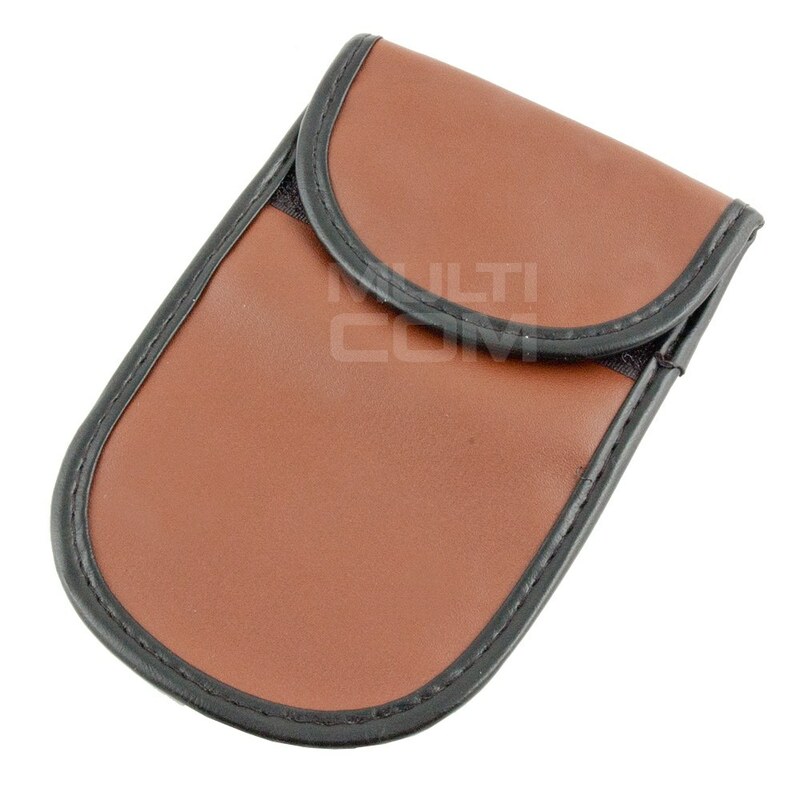 When you insert the phone into the case without having to turn it off, the device will lose its reach in a few seconds: the phone will be unmarked. The person trying to call a phone will hear a busy tone or a message that the subscriber is unreachable. Phone case for locking signals GSM/LTE/WiFi/GPS MORO 3 it features Faraday cage for mobile phones that block both GSM / GPS / WiFi signals. Ideal for people who want to protect their privacy in selected locations. When you insert the phone into the case without having to turn it off, the device will lose its reach in a few seconds: the phone will be unmarked. The person trying to call a phone will hear a busy tone or a message that the subscriber is unreachable. Phone case for locking signals GSM/LTE/WiFi/GPS MORO 4 it features Faraday cage for mobile phones that block both GSM / GPS / WiFi signals. Ideal for people who want to protect their privacy in selected locations. When you insert the phone into the case without having to turn it off, the device will lose its reach in a few seconds: the phone will be unmarked. The person trying to call a phone will hear a busy tone or a message that the subscriber is unreachable. Phone case for locking signals GSM/LTE/WiFi/GPS MORO light grey it features Faraday cage for mobile phones that block both GSM / GPS / WiFi signals. Ideal for people who want to protect their privacy in selected locations. When you insert the phone into the case without having to turn it off, the device will lose its reach in a few seconds: the phone will be unmarked. The person trying to call a phone will hear a busy tone or a message that the subscriber is unreachable. 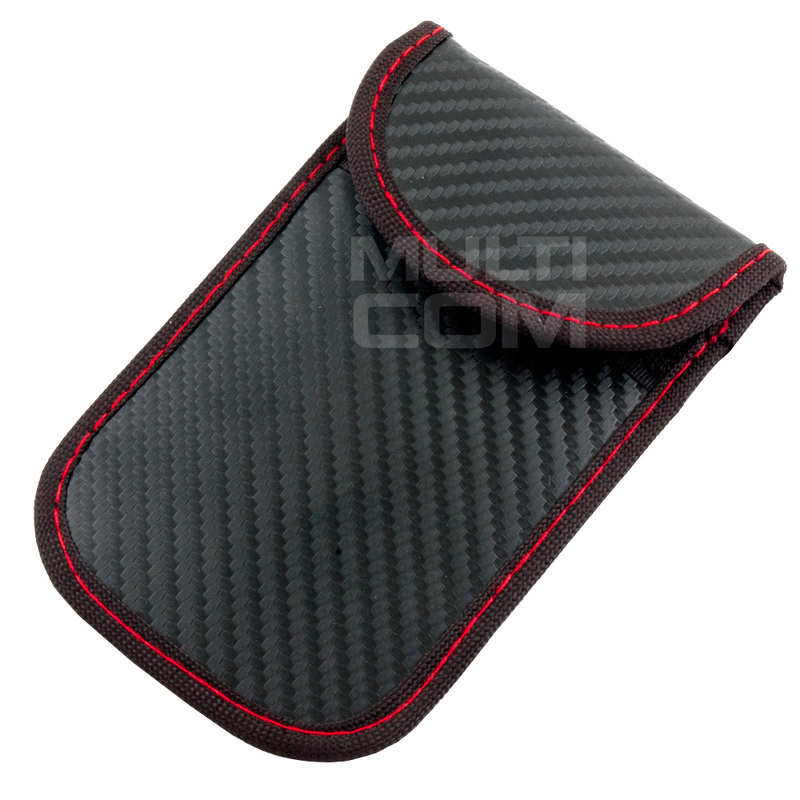 ATTENTION: The padding of the cover is made of microfiber fabric forming a Faraday mesh (ie, proper protection), so it is important to keep in mind the softness of the cover so that it is not damaged so that it loses its properties. Damage can be caused by bending the cover in half or rubbing. 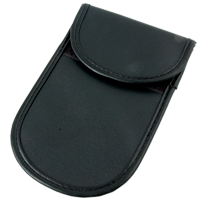 Signal GSM, 3G, GPS, WiFi Blocking Bag the frequency blocking bag offers an ideal solution for pack small electronic gadgets which signal shield required. 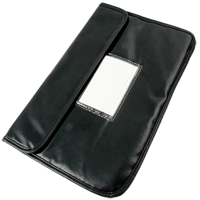 A frequency blocking bag is usually using to block cell phone machines in special locations. 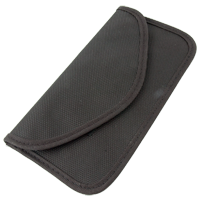 After put a cell phone into the bag and seal the cover, the cell phone will loss signal seconds later and can not be reached any more. It will appear unavailable or network busy. The frequency blocking bag could block radiations and degaussing. 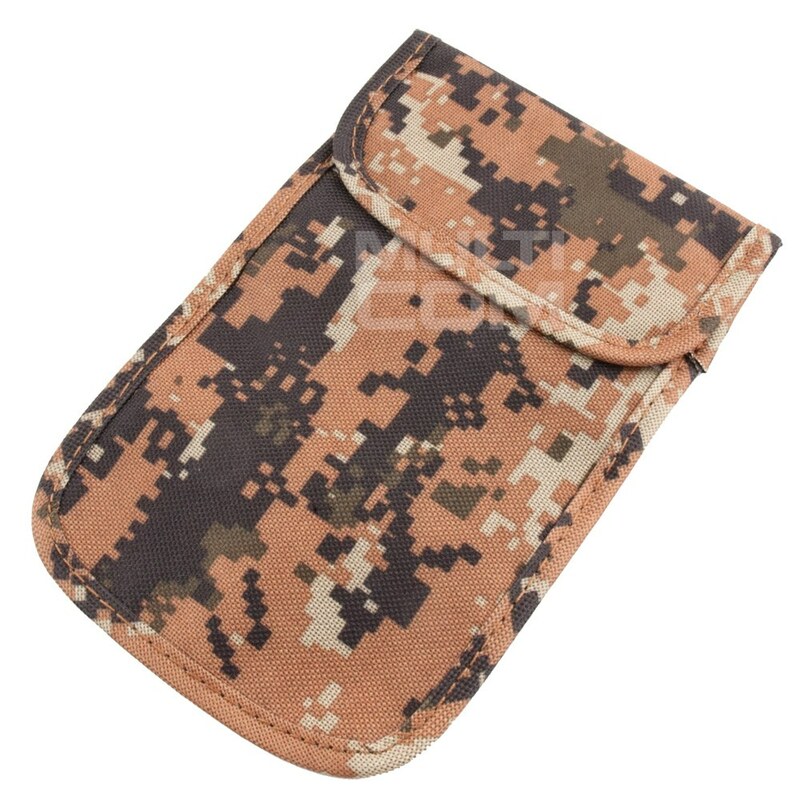 Signal GSM, 3G, GPS, WiFi Blocking Bag for Tablet/Phones the frequency blocking bag offers an ideal solution for packelectronic gadgets which signal shield required. 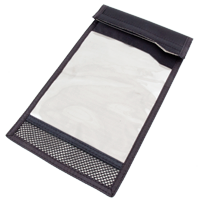 A frequency blocking bag is usually using to block tablet/cell phone machines in special locations. 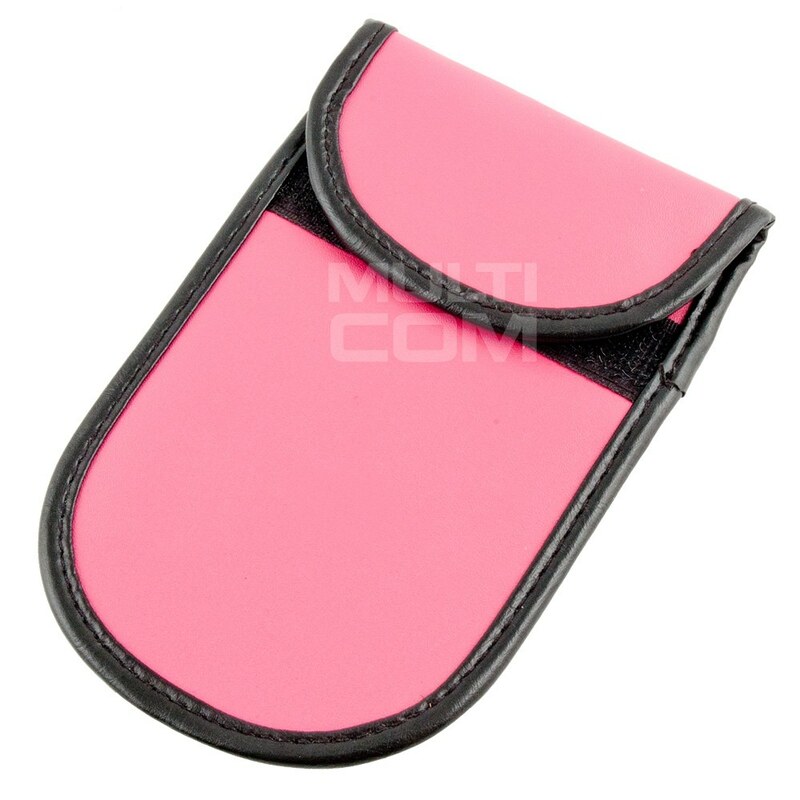 After put a tablet/cell phone into the bag and seal the cover, the cell phone will loss signal seconds later and can not be reached any more. It will appear unavailable or network busy. The frequency blocking bag could block radiations and degaussing.